As reported by the statistics of the General Department of Việt Nam Customs, there was a tremendous growth of imports of materials for textiles, leather and footwear from Canada of 179.8 % to hit US$11.8 million in the first four months of 2018. Only in April 2018, the import of these materials reached $497.05 million, bringing the total import value in four months to US$1.74 billion, a year-on-year decrease of 0.02 %. 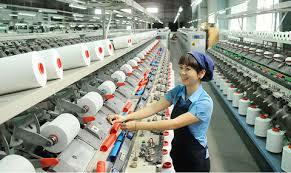 Currently, there are five major suppliers of textiles, leather and footwear materials for Vietnam, including China, Republic of Korea, Taiwan, the United States and Southeast Asia. The import from these countries combined is worth over US$100 million. Between January and April 2018, China led the turnover with over $645.95 million, accounting for 37.2 % of Vietnam’s total import, down by 4.3 % against the same period last year. Notably, the import of textiles, leather and footwear materials from many markets particularly from Canada increased significantly against the same period last year. Conversely, imports fell sharply from markets such as Argentina, down by 51 % to $7.68 million; New Zealand, down by 50.3 % to $4.23 million; France, down by 41.6 % to $1.3 million; Austria, down by 32.8 % to $0.44 million and Germany, down by 31.4 % to $8.44 million.